The purpose of this website is to review the vascular anatomy with correlative imaging between multiple imaging modalities. In addition, we anticipate adding features and cases that will make this site a valuable resource in studying or reviewing vasculature or related interventions. A solid understanding of complex vascular anatomy is essential for the developing interventional radiologist. 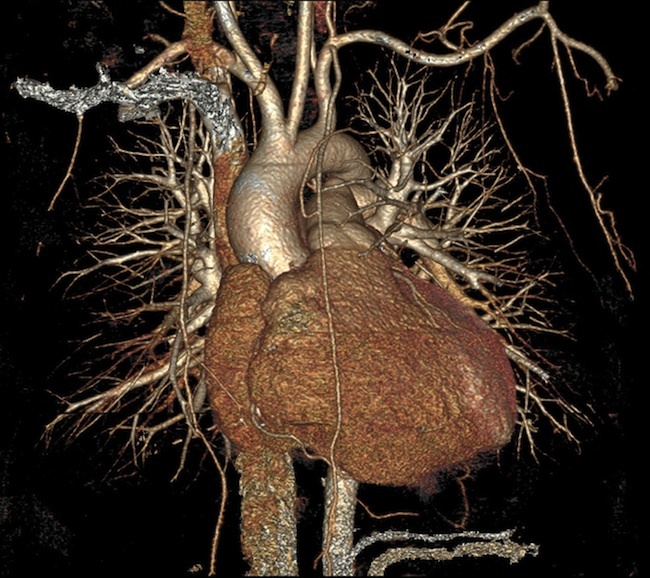 Many other specialties also use vascular imaging following trauma, infection, infarction, vasculitis or even pre-operative planning or post-operative follow-up. At the present time, there are only a few available vascular atlases and very limited interactive or online resources available to study and review vascular anatomy. The first edition of the online interactive vascular atlas highlights the upper extremity vasculature with images illustrating vessel anatomy. These modules will ultimately allow any interested users to review anatomy by interactive scrolling through extremity vasculature in multiple planes with labeled static images which highlight pertinent anatomy. The user will also be able to self-quiz at the end of the module to assess knowledge of vascular anatomy.